Giapreza/angiotensin II Cost, Side effects, Dosage, Uses for low blood pressure. The FDA granted the approval of Giapreza to La Jolla Pharmaceutical Company. Giapreza is an angiotensin II injection. It is indicated for septic and other distributive shock. Septic shock occurs due to reduction in blood pressure. This intravenous injection is designed to elevate systemic blood pressure especially in adult patients with hypotension. Shock occurs when blood is not properly supplied to vital organs of body and could not function properly. Angiotensin II injection i.e. Giapreza proved beneficial in clinical trials. It can also be used in combination with other conventional treatments and greater number of patients respond to combination therapy as compare to placebo drug. Angiotensin is a peptide hormone which effectively cause vasoconstriction and ultimately leads to high blood pressure. It is considered main part of renin angiotensin system, angiotensin targets this system and increases level of systemic blood pressure. Angiotensin is a dual stimulator, as it stimulates the release of aldosterone from adrenal cortex along with increased blood pressure. Aldosterone is a hormone which increases sodium retention and ultimately leads to blood pressure. While using giaprezin, patient should take prophylactic treatment of blood clots because Giapreza can cause blood clots in veins and arteries including deep venous thrombosis. Giapreza is a drug used in emergency situation because it has sudden onset. Giapreza is the brand name of angiotensin II injection. Angiotensin II is the main agent acting on RAAS abbreviated as renin angiotensin-aldosterone system. RAAS is known as the main system responsible for regulation of blood pressure. Giapreza of mechanism in which Angiotensin primarily cause vasoconstriction and also increase aldosterone release. Angiotensin directly act on walls of vessels by binding to G protein coupled angiotensin II type 1 receptor. This receptor is present on vascular smooth muscle cells which are responsible for stimulating Ca2+/ calmodulin dependent phosphorylation of myosin. As a result causes smooth muscle contraction. Giapreza is administered in dosage levels. 1st dose is administered of concentration 20 mg/ kg/minute IV with the help of continuous infusion. 2nd dose is administered to titrate with concentration 15 ng/kg/min by keeping in view of blood pressure responding. This dose is titrated every 5 min to achieve desired blood pressure level. Dose should not exceed 80 ng/kg/min during 1st three hours of treatment. Maintenance dose should not increase 40 ng/kg/min and recommended dose is 1.25 ng/kg/min. 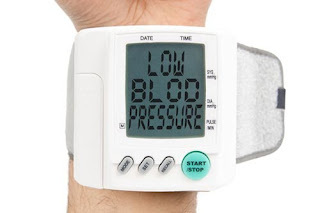 when desired blood pressure is achieved, dose is titrated downwards every 5 to 15 min. administration is recommended via central venous line. Giapreza is used as a primary treatment to hypotension and shock and other distributive shocks. Main side effect associated with Giapreza is formation of clots. So, prophylactic treatment of blood clots is recommended before administration of Giapreza. There are 12.9 % cases reported thromboembolic events. Thrombocytopenia, increased heart rate (tachycardia) due to vasoconstriction, fungal infection, rare chances of acidosis, delirium, deep vein thrombosis, hyperglycemia and peripheral ischemia. Patient may feel hyper active after increase in blood pressure. Giapreza is also administered in combination with other therapies so, side effects may vary according to combination therapy. Giapreza cost is difficult to evaluate at the moment as according to market survey this drug is currently not available at retail pharmacies because it is recently approved by FDA and is under manufacturing process. Once, it will be available at retail outlets we will let you know about the unit cost of drug and its dosage frequency.